Editor Note: This is a supplemental report to our exclusive investigation into the use of tax money to pay an unlicensed security company with connections to a Chicago cop for private patrols in Lakeview. See our main report HERE. In late 2012, The Windy City Times published a report about Walsh Security LLC. 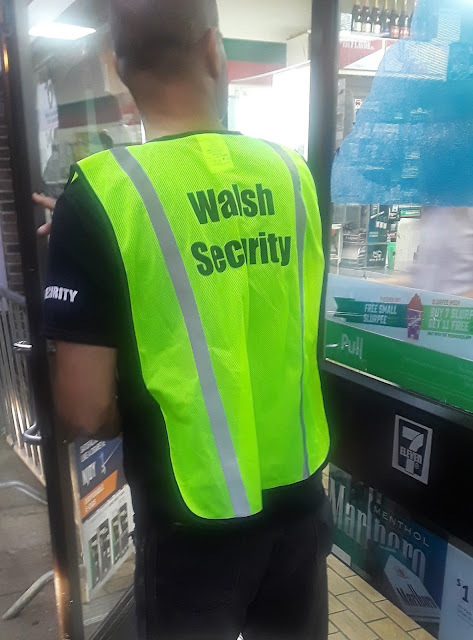 At the time, Walsh Security and its owner, Thomas Walsh Sr, were not properly licensed to contract security work in Illinois, the paper reported. That’s the exact same position that A&T Security LLC, operated by Walsh’s children, is now in, regulators say. The Times published a sidebar detailing its reporter’s exchanges with Walsh Sr., whose company was under contract to provide security at the Center On Halsted in 2012. Walsh's company continues to service that contract, grossing over $130,000 in 2015 and 2016, according to tax records. The reporter's experience with Walsh in 2012 lays out details that are strikingly similar to what our team experienced this summer. Like the newspaper's experience with Walsh, A&T’s clients have refused to comment to CWBChicago regarding business arrangements. Lakeview East Chamber of Commerce Executive Director Maureen Martino declined to answer most questions regarding A&T and stopped responding to inquiries altogether several weeks ago. Most incredible is this: After receiving multiple requests for input over the course of two months, Walsh Sr contacted CWBChicago on August 25. He texted a photograph of the Secretary of State’s website showing that his children’s company, A&T Security LLC, is incorporated in the state—the exact maneuver he used with the Windy City Times, according to their report. When we pointed out the discrepancy—he did not provide A&T's license to contract security, only proof of incorporation—Walsh asked to meet in person. Exactly why Walsh decided to contact us about a business that is owned and operated by his adult children is unclear. His children did not respond to multiple inquiries.